The Drive for 25 is the grassroots funding program for American nordic skiing at a national level. 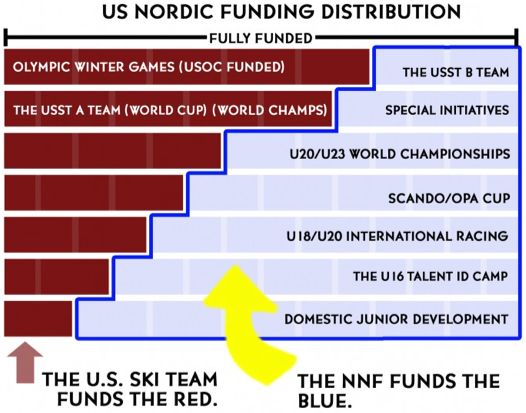 The National Nordic Foundation picks up the tab for much of the training and racing costs of young and upcoming athletes and also the US Nordic B Team. More information here.